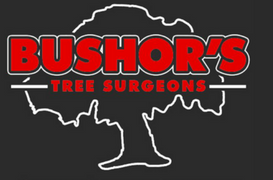 Eugene L Bushor started in the tree business in 1952 in Wisconsin. 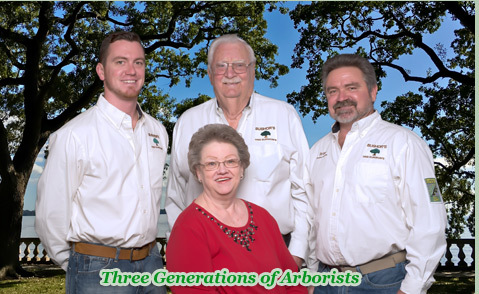 He came to Jacksonville in December 1954 and worked for the Davey Tree Expert Company in Jacksonville. Each spring he was sent to New York for the summer and returned to Jacksonville in the fall. After eight years of this, he became tired of traveling back and forth and with his love for Jacksonville, decided to make his life here. During this time he became very active in the Chamber of Commerce. He served on the board of directors of the South Council and is also a past president of the South Council. He was honored by the Council in 1973 as Small Business Man of the Year. He is currently an active member and past President and Chairman of the Board to the Southside Business Men’s Club and was awarded their Outstanding Business Leader Award in 1997. Mr. Bushor is a very civic-minded businessman who cares a great deal about the welfare of Jacksonville, especially concerning the care, protection, and preservation of the trees of Jacksonville. 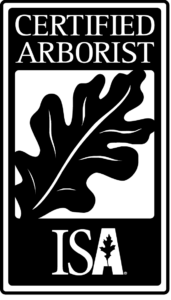 He served on the Mayors Committee to Adopt a Tree and Landscape Ordinance for Jacksonville. He helped to save the large 72 inch Live Oak located at the Kentucky Fried Chicken building on San Pablo and Beach Blvd by relocating the building. Mr. Bushor was also very instrumental in saving The Skinner Oak on Bowden Road as well. We provide professional services to our customers and our employees must reflect that through their knowledge, work ethic, and appearance. We offer competitive pay, paid holidays, and bonuses.